5 How did we do it? 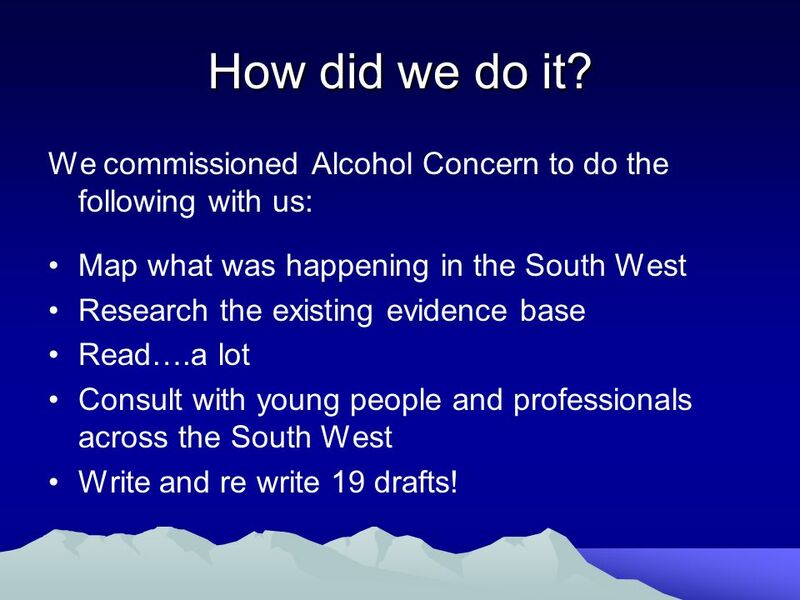 We commissioned Alcohol Concern to do the following with us: Map what was happening in the South West Research the existing evidence base Read….a lot Consult with young people and professionals across the South West Write and re write 19 drafts! 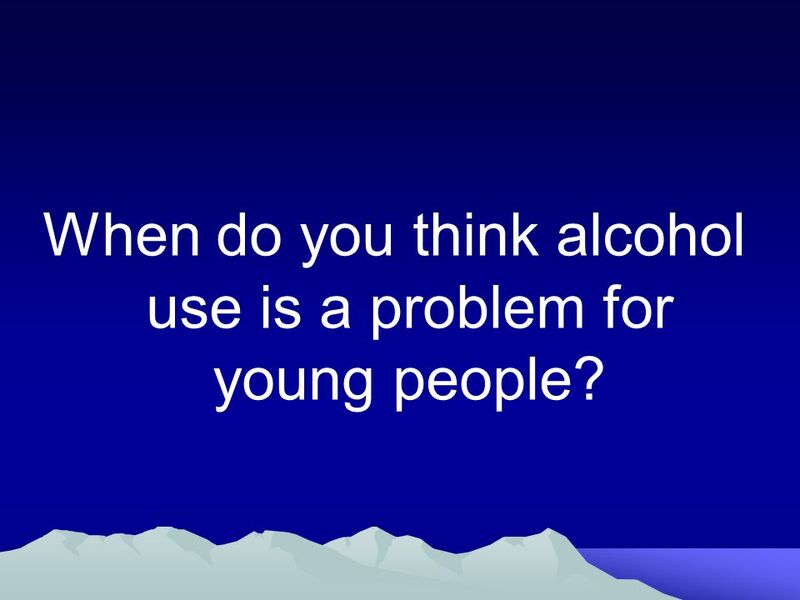 10 When do you think alcohol use is a problem for young people? 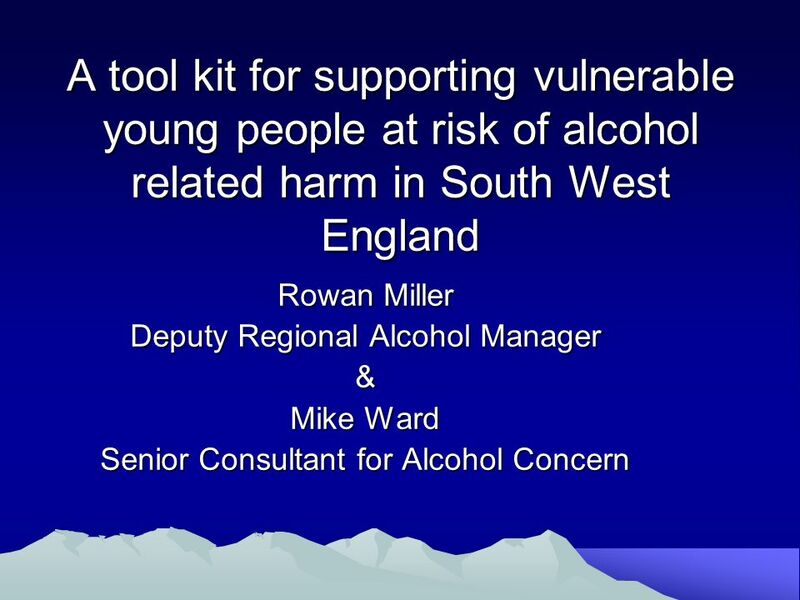 Download ppt "A tool kit for supporting vulnerable young people at risk of alcohol related harm in South West England Rowan Miller Deputy Regional Alcohol Manager &"
London Councils: Supporting the London Health Inequalities Strategy London Child Poverty Network - 16 th March 2010 Valerie Solomon. Think child, think parent, think family: Parental mental health and child welfare Hugh Constant, Practice Development Manager Hannah Roscoe, Research Analyst. 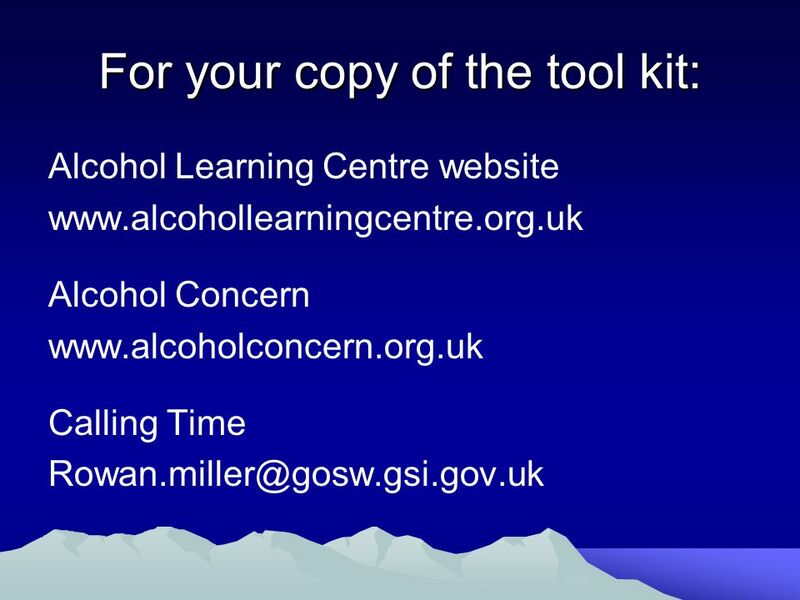 Developing Substance Misuse Education in the Borders. Fiona Teague – Active Families Coordinator Creggan Healthy Living Centre 5 th March 2009. Increasing staff engagement across children’s services Di Smith Director of Children’s Services. 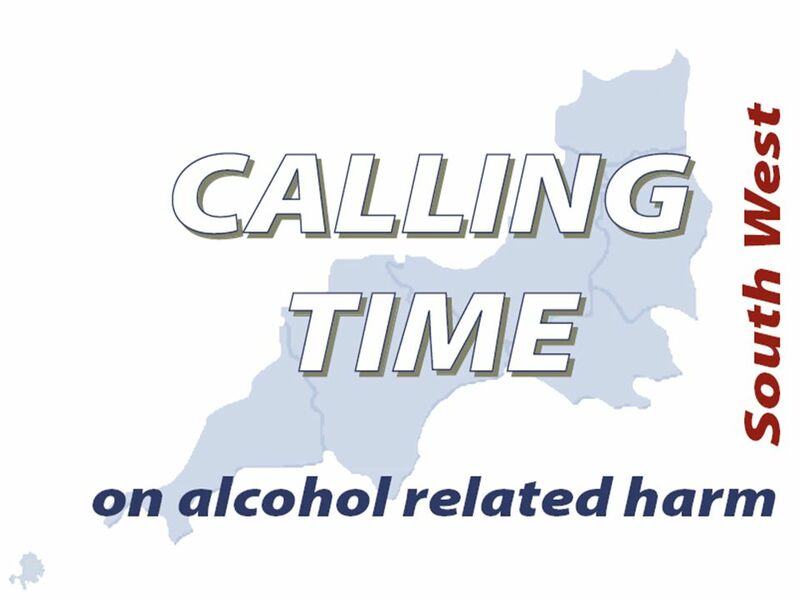 Alcohol quiz – true or false? 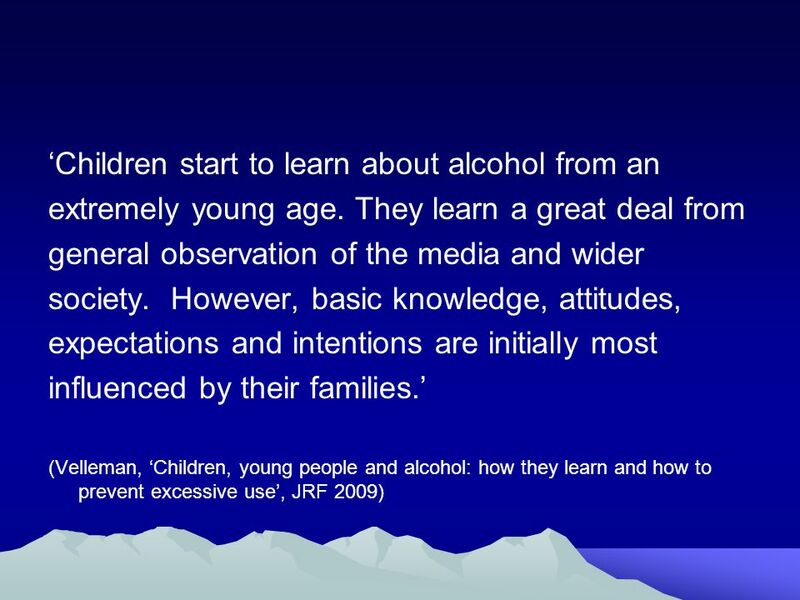 It is against the law to give an alcoholic drink to a child under the age of 5 years. 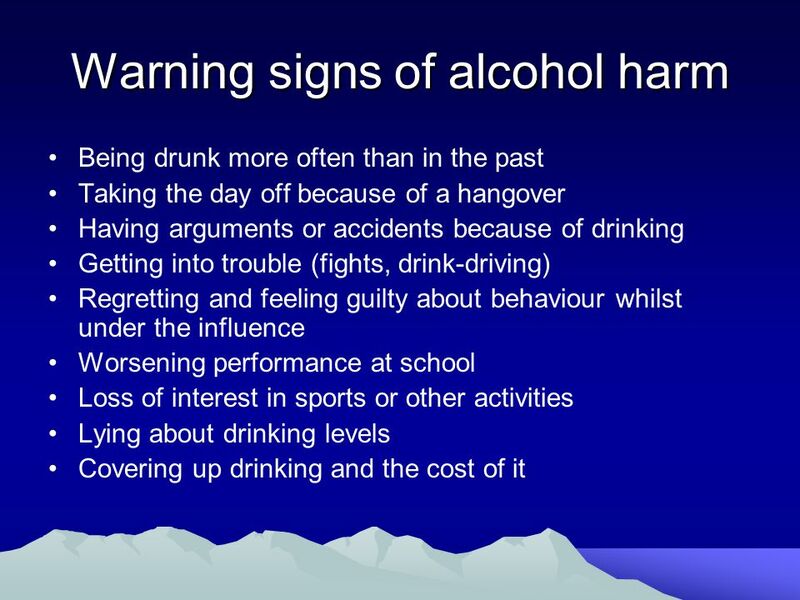  People use alcohol and other drugs for many reasons. Some use these substances to help them to relax, to feel more lively, to feel less inhibited or. DEVELOPING EMOTIONAL AWARENESS AND LISTENING. DEAL Information DID YOU KNOW? 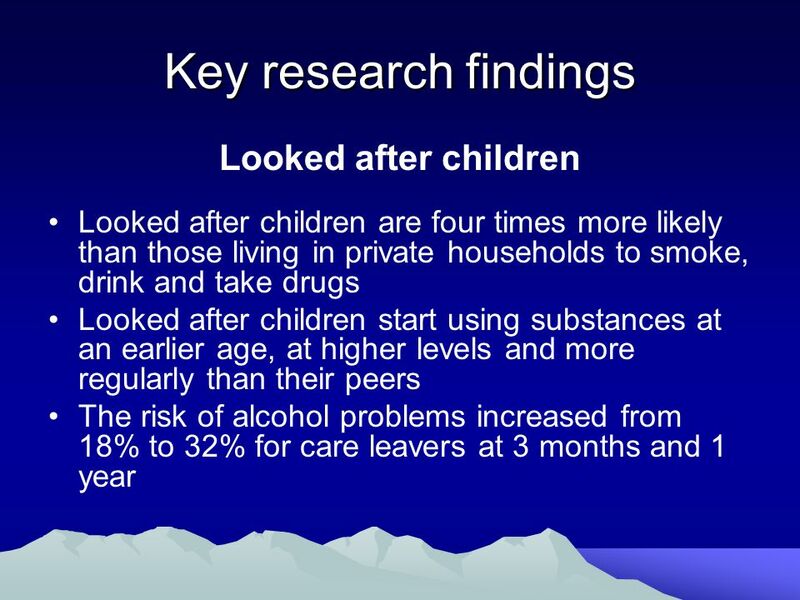 In a 2014 (Health Behaviour in school age children PHE) report conducted. 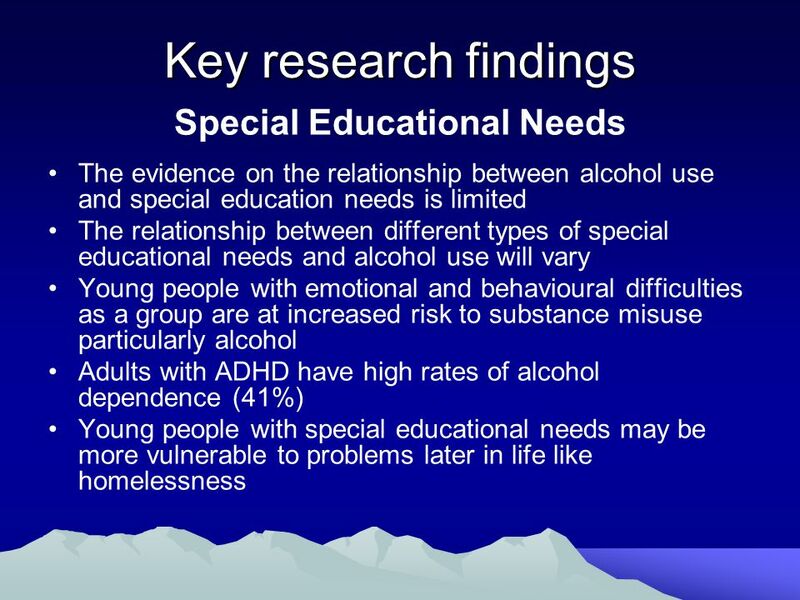 Young people’s health Adolescents and General Practice Based on Maggie Eisner, January 2011, Modified Heather Naylor October 2014. McCreary Centre Society Adolescent Health Survey III: 2003 results in preparation for 2008 AHS IV A Brief Summary of Results for the Richmond Region. 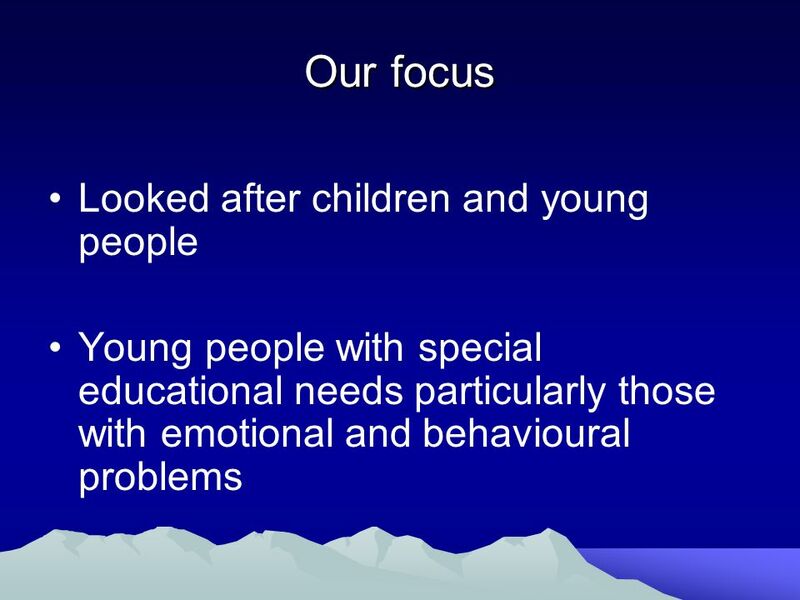 The best option for young people leaving care?. Supported Lodgings Definition. According to Broad (2008), “the term ‘supported lodgings’ has no universal. 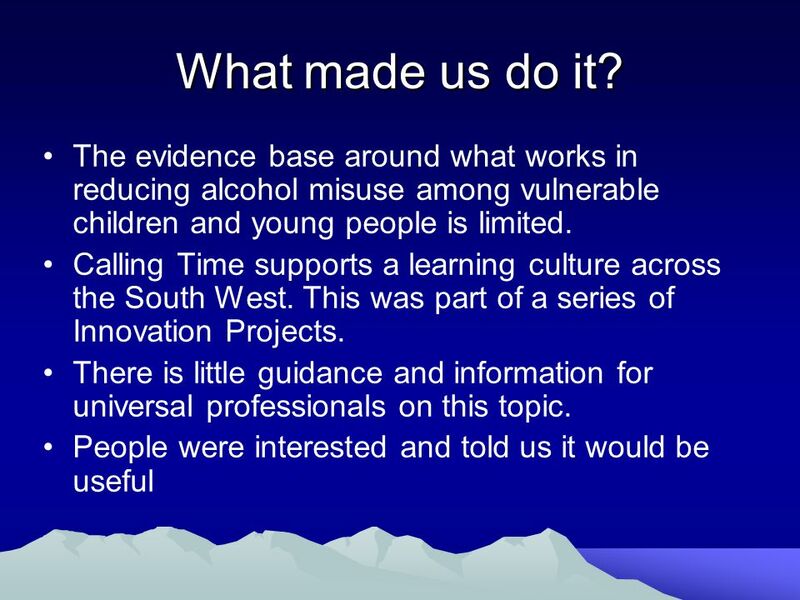 Risk and Protective Factors for Substance Use Steve Delaronde, MSW, MPH University of Connecticut Health Center The Governor’s Prevention Initiative for. 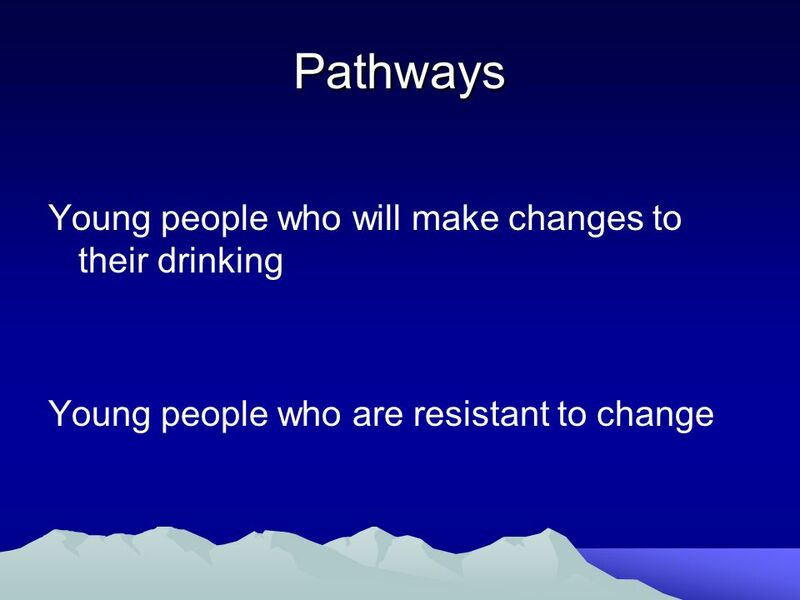 McCreary Centre Society  Overall alcohol and marijuana use steadily declined from 1998 among Grade 7 to 12’s  Youth who did try alcohol. Young People and Alcohol Di Robertson October 2007. 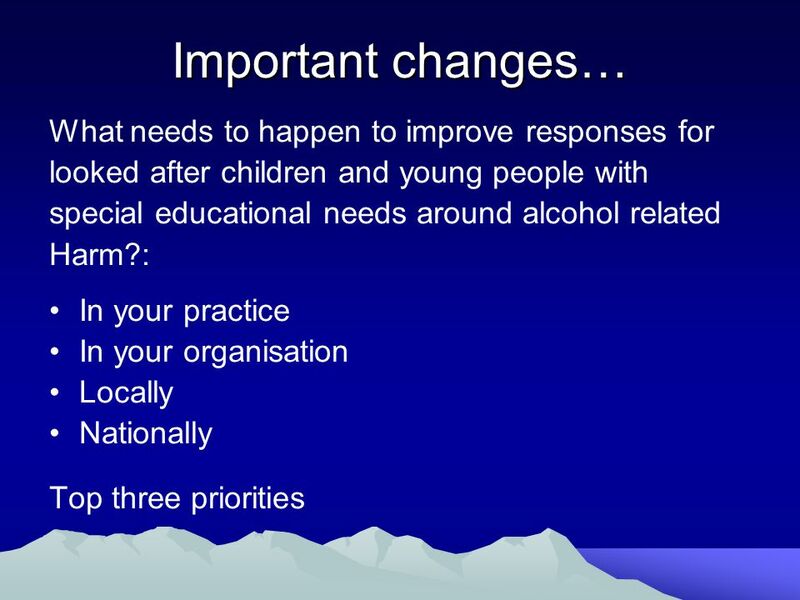 Approaches to reducing alcohol harm for children and young people Young People’s Specialist Treatment London Alcohol Practitioners Forum 20 th March 2009. Discuss with your table partner: What are some things that can happen in a child or teen’s life to cause them to turn to and become addicted to drugs.